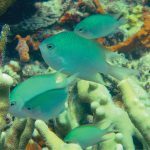 Many divers and photographers consider sandy bottoms something to get past as quickly as possible, to get to the more interesting corals, or seagrass, or, well… anything other than an expanse of sand. The thing is, there are many species that can be found in this habitat, you just have to look a little harder sometimes. 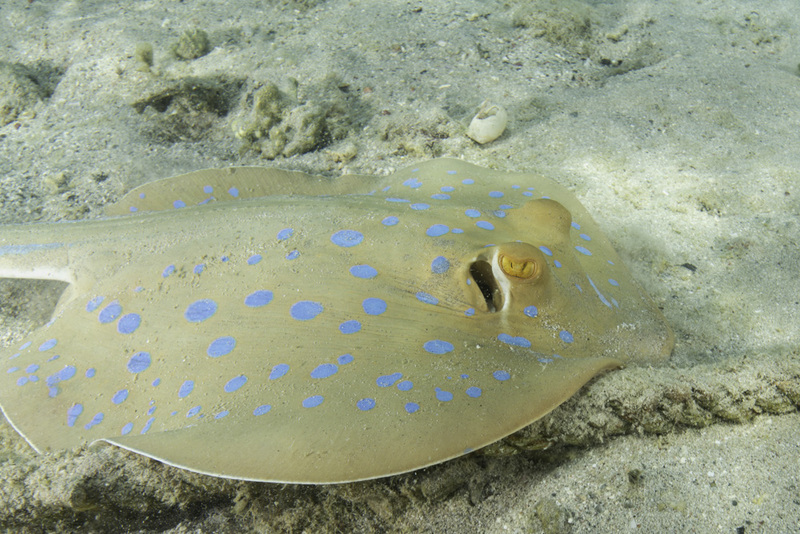 My first sandy bottom dweller is the wonderfully marked Blue Spotted Ray (Taeniura lymma), a species found across the Western Indian Ocean. Reaching just less than a meter (including tail), this is a fish you can often watch from the shore as it hunts for crustacean prey in the sand. 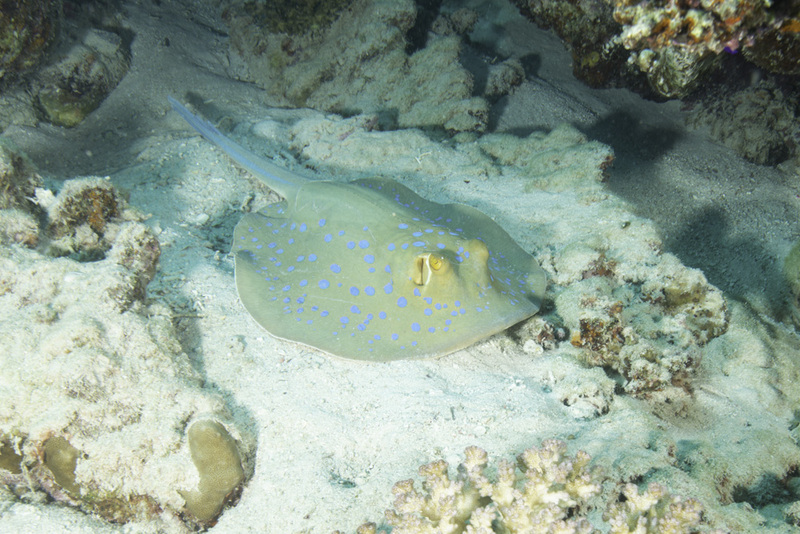 I have always assumed the blue spots provide it with camouflage and protection from predators from above when it is swimming in brightly lit surface waters. Being a stingray, it can inflict a painful wound according to sources online, though I have to say, I have never heard of anyone actually being stung. 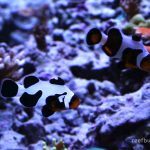 While some of these fish have found their way into captivity, they are not suited to it and are classified as Near Threatened due to habitat loss and hunting. 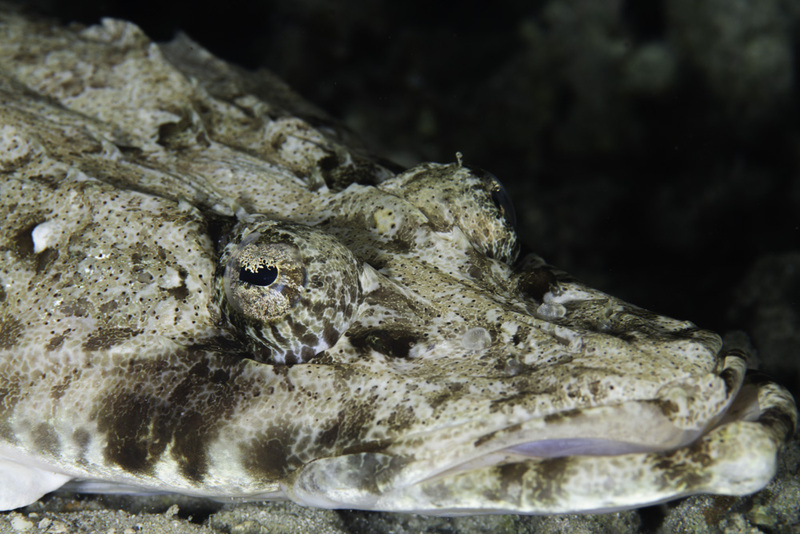 A decidedly bland looking animal, and one that attracts very little attention, is the Lizardfish. 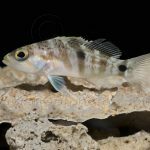 I think this one is the Clearfin (Synodus dermatogenys). 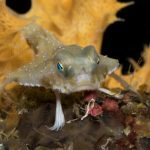 It’s a very widespread species that is commonly overlooked, due in no small part to that camouflage. 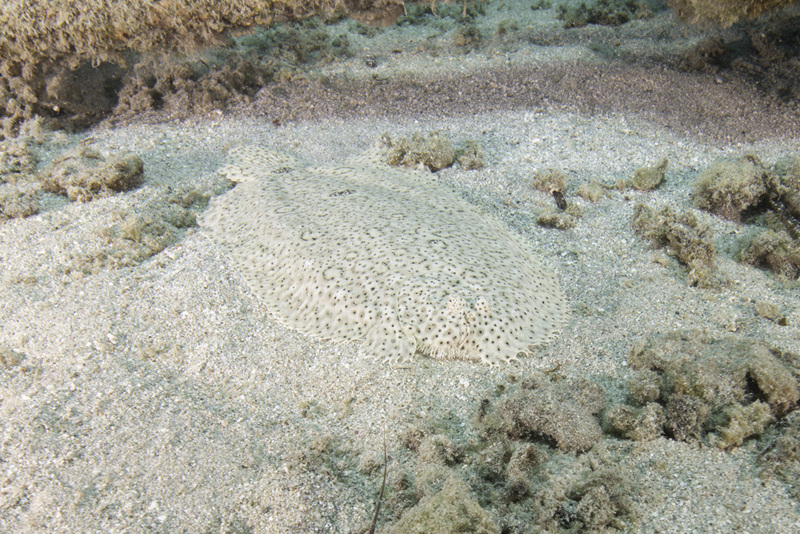 Another well-camouflaged fish is Bothus pantherinus, the superbly patterned Panther Flounder. This animal is often partly buried, adding to its cryptic ways. I have often spotted these whilst I’m shooting another more easily seen animal, with the flounder breaking cover and fleeing due to me getting so close. It can be a little disconcerting when the sand appears to get up and swim away. My final fish is the hugely impressive Crocodelfish (Papilloculiceps longiceps) . 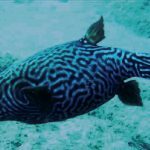 A one meter long fish that takes camouflage to the next level, by even disguising its eyes. 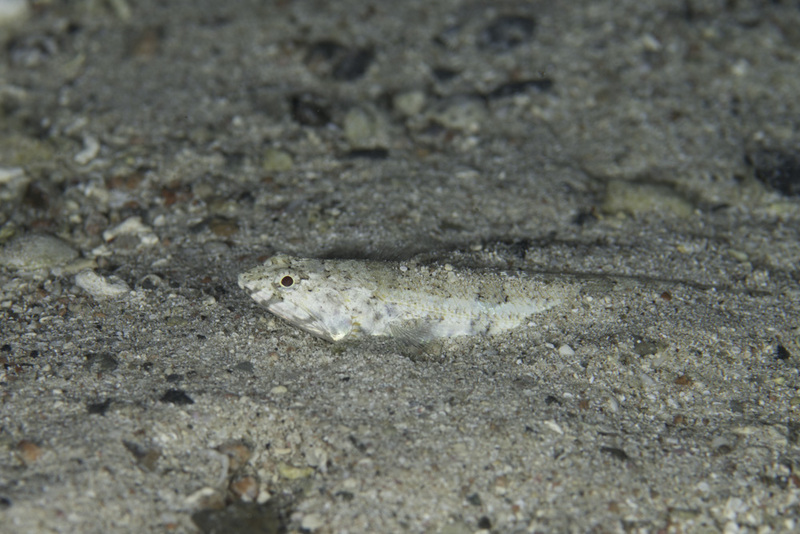 This fish is easily approached, given its confidence in its camouflage. It’s a poor swimmer, and when disturbed will only move a few meters before settling down to wait for prey it will ambush using its cavernous jaws.